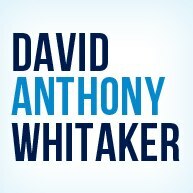 David Whitaker is an expert digital strategist and developer. He resides near Boston, MA. He has guided large scale digital development, social media, and video production teams. He is the founder of Design Geeks, LLC, Monethos, Fuse.Live, David.Work, Timeline Builder and other amazing digital products. He now work as the consulting CTO for Digital Strategists, LLC, Boston OCR, MSA Mortgage, and is the founder of Mon Ethos Pro Consulting. By combining the various tools necessary to excel in a digital environment, David Anthony Whitaker covers a diverse range of skills and experience. Coder, marketer, manager, developer and strategist. For over 20 years, David has consulted with industry leaders and executives and has helped them shape their technological footprint in an ever changing digital landscape.